FirstLane uses the innovative DIRAS® (Detection Infra Red Automatic Systems) technology, the best electronic detection system available on the market. It follows the users’ progression through the gate as well as ensuring their safety during opening and closing of the obstacles. With its multi-directional infrared beam matrix and its predictive algorithms, FirstLane’s detection system analyses and anticipates the size, position, speed and direction of the user in the lane, whilst still being able to differentiate between fraudulent use and irregular passage. FirstLane is easy to configure and manage either locally or remotely using a simple web browser. The optional Smart n’Slim monitoring panel lets you manage multiple lanes, regardless of where the units are located. Smart n’ Slim is a flexible command center that allows for visualization, control, and consultation. FirstLane offers fast opening and closing of the obstacles, bi-directional movement and RFID reader integration. As a result, it can accommodate traffic of up to 60 users per minute. With its clean design, FirstLane security turnstile integrates perfectly into any interior– whether classical or modern. The clear 10mm thick tempered glass obstacles have a friendly appearance, while the smooth lines of the brushed stainless steel housing are graceful and refined. User-friendly, modern function pictograms help users to interact intuitively with the system. 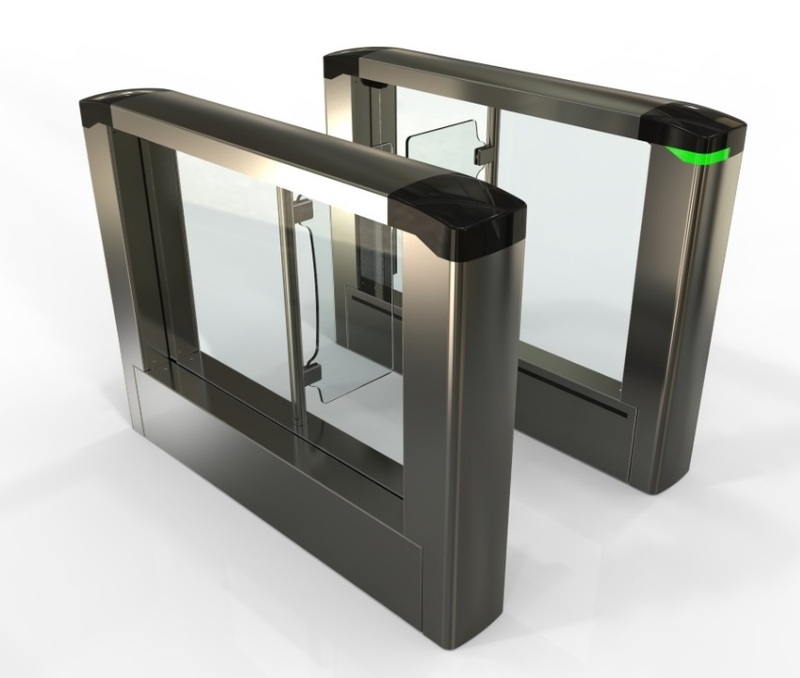 Intuitive and very easy to operate, FirstLane security turnstile guarantees high-level security without compromising user safety. It is designed to prevent finger entrapment and other impacts. Moreover, the reinforced detection enhances user protection and manages passage of children and luggage.